Have you finally accepted the fact that it’s time to buy or rent a mobility scooter? 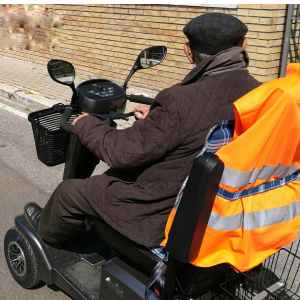 If so, you will want to learn how to remain safe when operating the mobility scooter for the first time. It might take a little time to get used to the scooter, as you are used to using a cane, walker or simply walking on your own. Here are some of the most important safety tips for first-time mobility scooter users. It’s best for your safety and the safety of those around you to learn the new scooter before using it. This includes reading the owner’s manual, talking to friends who have the same scooter, watching video tutorials online, and speaking to the team at Yellow Scooters after it has been delivered. The more you learn about the scooter before using it, the more comfortable you will be when you turn it on for the first time. Are you going somewhere you’ve never been before with your new scooter? If so, it’s best that you call ahead and ask if they will accommodate you. Have the dimensions of your scooter handy when making the call so you can find out if the scooter will fit through the doors of the place you are headed. Find out if there is a secure area to park your scooter and if you will be able to charge it while there. Make yourself and the scooter visible at all times. Don’t take for granted that it is a sunny day and anticipate drivers will be able to see you. Instead, use the headlight on the scooter at all times. You should also wear a reflective vest or bright colored clothing when riding at night, even when on the sidewalk. It helps motorists to see you, especially when in the crosswalk. Traveling at a slow rate of speed is best for you and all those around you. 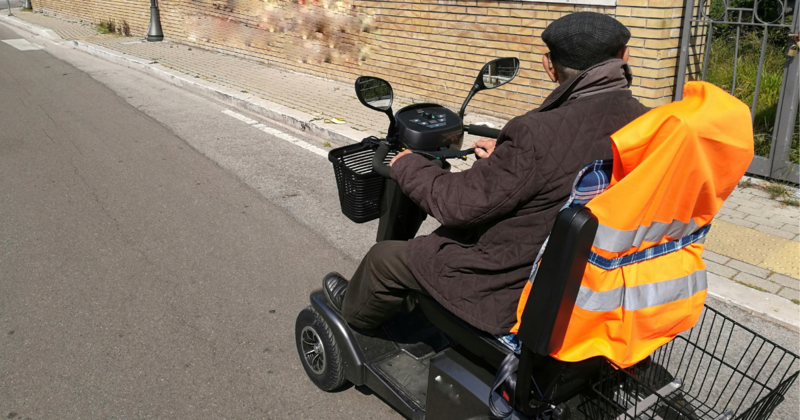 There’s no reason to push the mobility scooter to top speeds, especially when you are on a sidewalk with pedestrians or maneuvering inside a building. When you travel at slow speeds you will have more control over any situation that might arise. Never use your phone and drive at the same time. Look behind you before passing to the left. Do not ride in the street. Install a bell or horn to alert those traveling in front of you. If you are traveling for work or vacation and don’t want to bring your scooter with you, contact Yellow Scooters and rent a unit that is similar to yours. This will ease your stress level and help you get comfortable with the scooter. Renting a similar scooter will ease your worry about damage to the scooter you own and help you maneuver your destination with ease. Are you ready to make your first mobility scooter purchase? If so, it’s time to call the team from Yellow Scooters to find a scooter that is right for you. Call us at 1-855-274-3363 to schedule a consultation.